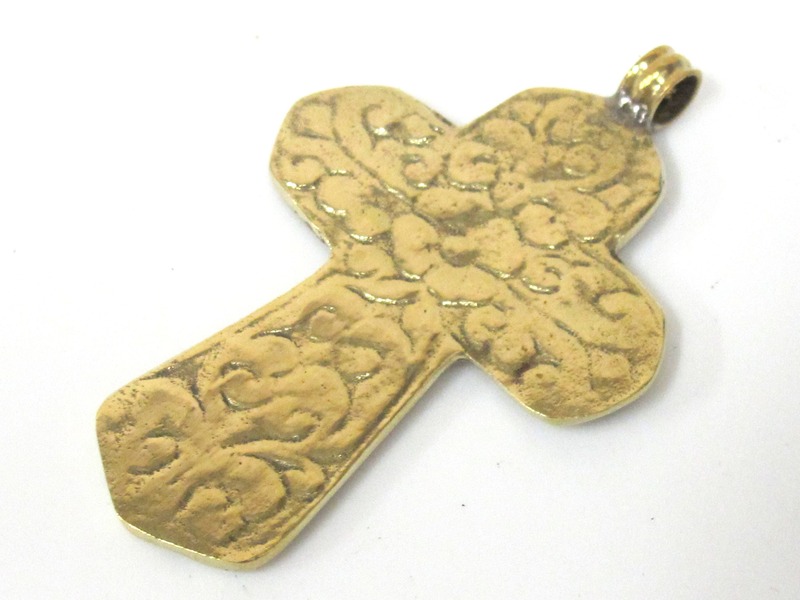 This is a Tibetan solid brass cross pendant with Lotus floral design in center . 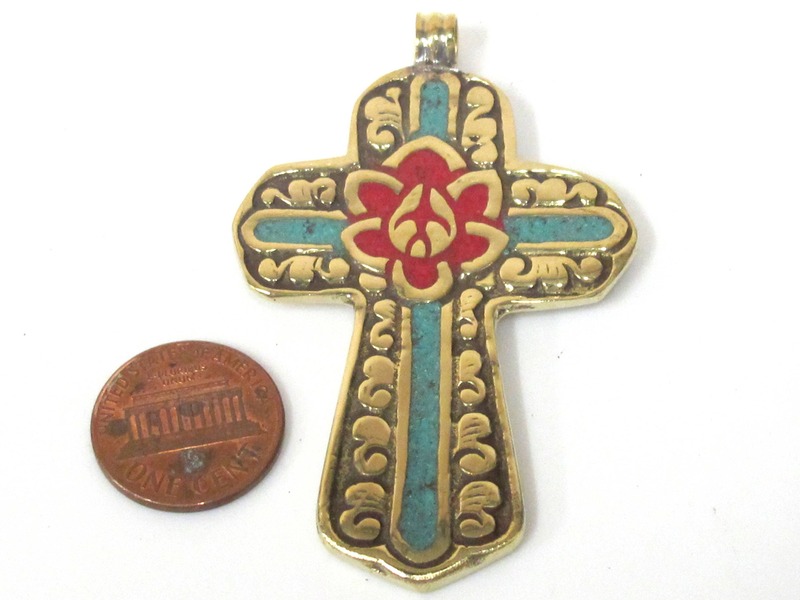 Inlaid with turquoise , coral . Floral carving on reverse side. 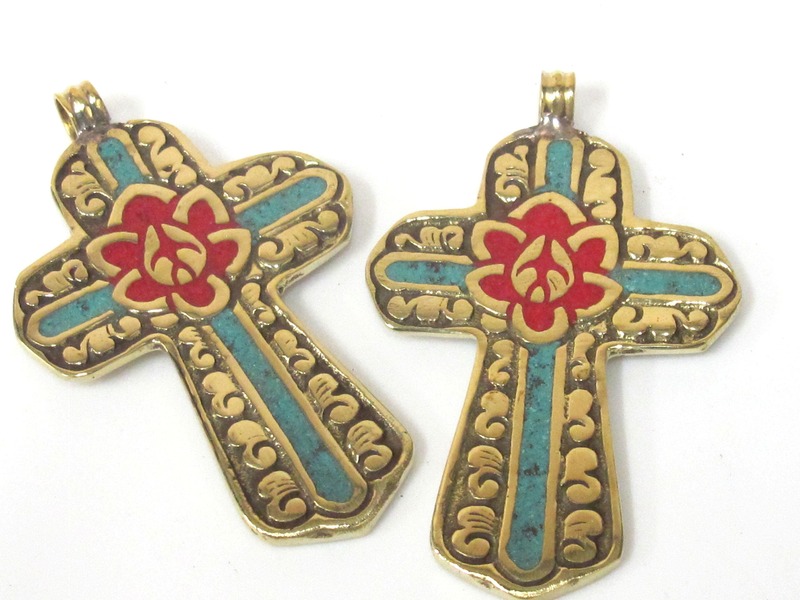 These are handmade in Nepal. 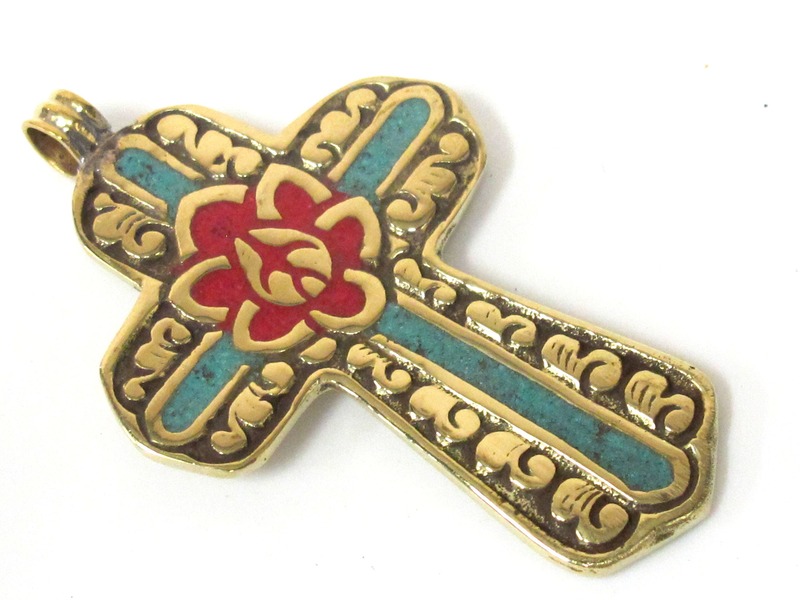 Lotus flower symbolizes wisdom and purity.